The Heyday Collection celebrates the striking geometrical design of Art Deco, but the best angle here is the price. 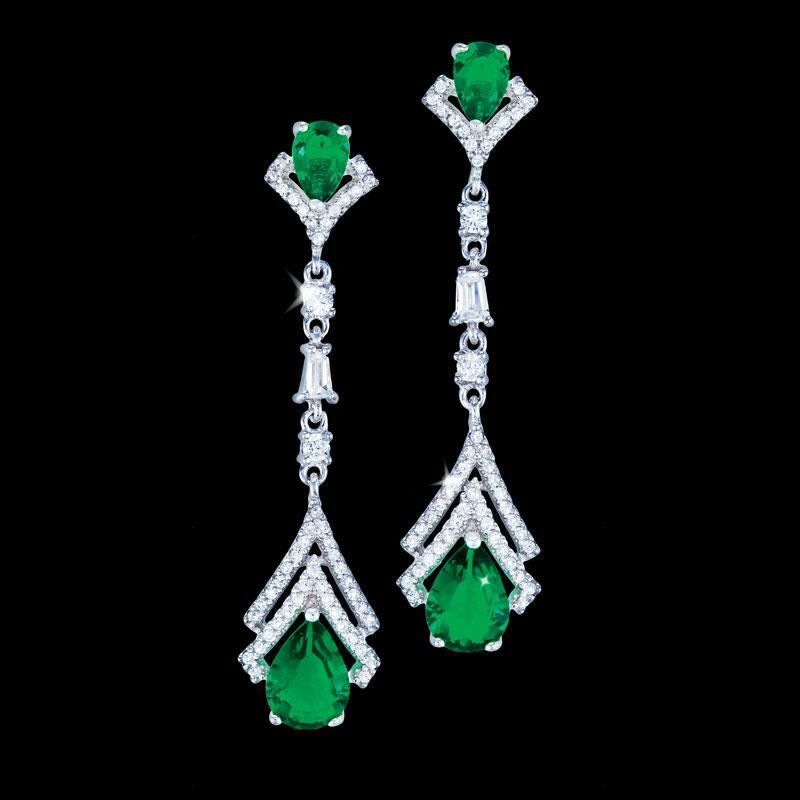 The Heyday Earrings are more than just a tribute to the delights of Art Deco; they’re a modern example of why this style was and is so beloved. The stones generating all this sparkle are ingeniously and scientifically-created to rival the color and fire of mined diamonds and emeralds. DiamondAura® delivers mined precious gemstone beauty without the mined precious gemstone price. Set in gleaming .925 sterling silver, these Art Deco infused pieces are truly masterpieces. A set with this much fire, in a vintage Art Deco motif setting, would command a price beyond reach for most. But our mission is to make luxury looks available at realistic prices, and so we pulled a mathematical miracle. A grand romantic gesture has never looked so big while costing so little.